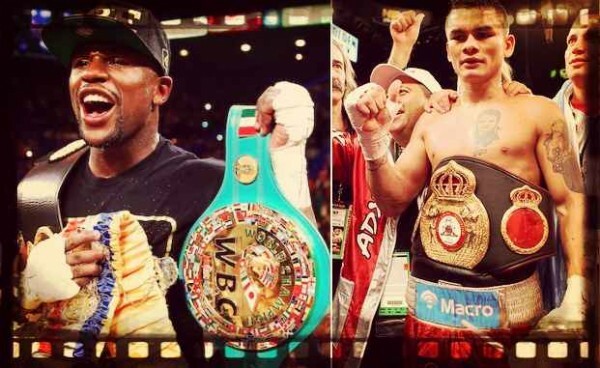 Unless something very unexpected happens, 2014 is going to be another year in which Floyd Mayweather remains on top of the highest earners in sport, as the grossing from his next fight, facing WBA Welterweight champion Marcos Maidana, will be at least $32 million straight into his pocket before the “extra”: His share of the PPV buys and the in-house gate profits. Mayweather made a reported $73.5 million in minimum purses in 2013 thanks to his incredible deal with Showtime, but there’s a very good chance he might have made even more ($90 million?) thanks to his huge share in both the PPV buys and from sold seats. His fight with Canelo Alvarez last year set the all-time boxing revenue record for domestic pay-per-view ($150 million) and live gate (just over $20 million). His minimum purse from that fight was $41.5 million. Things will be slightly different against Maidana, an Argentine fighter who doesn’t command the same viewing power a Mexican star like Alvarez does. Maidana will make at least $1.5 million but probably a lot more – both from the PPV pie and getting a share of the Argentina television rights for the fight. The 30-year old has been putting on some exciting fights in the United States over the last four years, winning title belts at Light Welterweight and Welterweight. The man who thought he was going to fight Mayweather this May, Amir Khan, will be on the undercard. Khan will be making $1.5 million for his fight against Luis Collazo, who will make $350,000. Right now it seems that the winner of that fight will be the next one to step in the ring against Mayweather (probably September), although it’s impossible to know with the world’s number one Pound-for-Pound fighter, who loves toying around with other fighters before making his next decision. Mayweather is undefeated and holding the WBC and Ring Welterweight title belts. Maidana is 35-3 with 31 knockouts. His last fight won him the WBA belt after beating Adrien Broner, and has won his last four fights since losing to Devon Alexander in 2012. His other losses have come against Amir Khan (2010) and Andreas Kotelnik (2009).